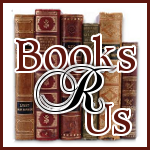 I want to welcome Heather Frost to Books R Us. Heather is the author the Seers and is touring the blogosphere. Thanks for stopping by. The novel will be available October 8th and can be purchased from Amazon , Barnes & Noble and other online retailers. Disclaimer: I received a free ecopy of the book for my honest review and I was not compensated for my review.